If you have read my blog for a while, you probably know by now that I'm a big skirt lover and wearer. 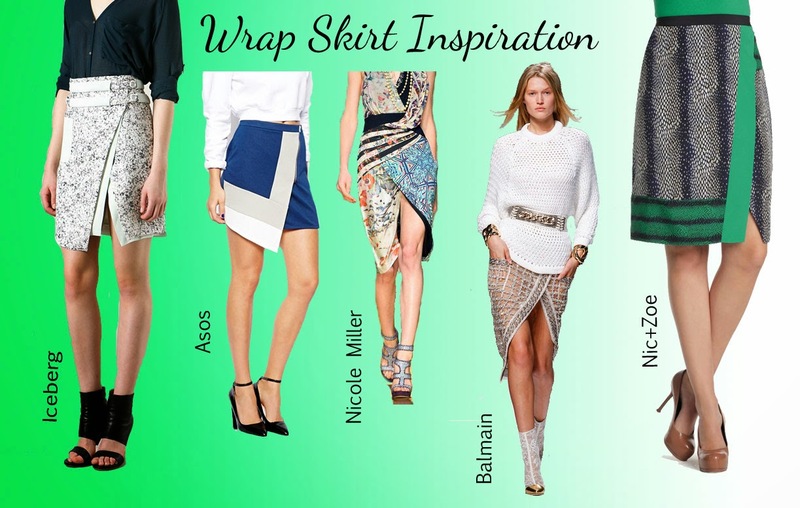 So, as I browsed for this Spring skirt trends and ideas, the wrap skirt kept me intrigued. It definitely adds dimension to a silhouette, and possibilities with layering are limitless. And specifically, light-weight, so-called "summer tweeds" are entering the market now with a fresh dose of texture and pattern. This is how Fabric Project No. 13 was born. 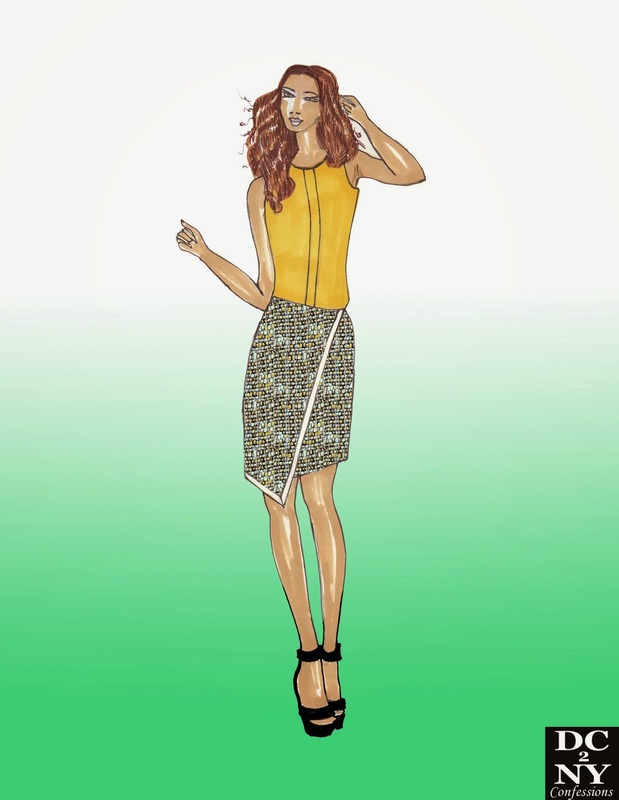 Here's my illustration of this project, and this time it's quite ambitious, as it involves two items, a skirt and a blouse. However, the designs are fairly simple, so I hope I can complete it in one weekend. And, below is the inspiration skirts that stirred my creative juices. Stay tuned for a completed project! !